Marcel born November 19, 1980 in São Paulo, Brazil is a Brazilian Jiu Jitsu fighter, professor (coach) and referee. In 1997, after trying a class, Marcel began training with Rodrigo Serafin, with whom he trained until he was a 4th degree white belt then moved to São Paulo where joined the Cia Paulista team. There, he trained under Ernesto Bueno Garcia "Giggio" for a short time before beginning to train under head coach professor Rick Kowarick (one of the founding members of the team) who promoted him in all his belts. Today Marcel is a black belt, 3rd degree. While Marcel was a white and blue belt, Marcel competed frequently, winning medals in every competition he participated in. In 2002, he qualified as one of the top 4 blue belts in São Paulo, earning him a spot as one of the top 16 in the world. In 2007 he was graduated to black belt by Professor Rick Kowarick in São Paulo, before moving to Verona, North Italy in 2008 to live with his brother Leonardo. 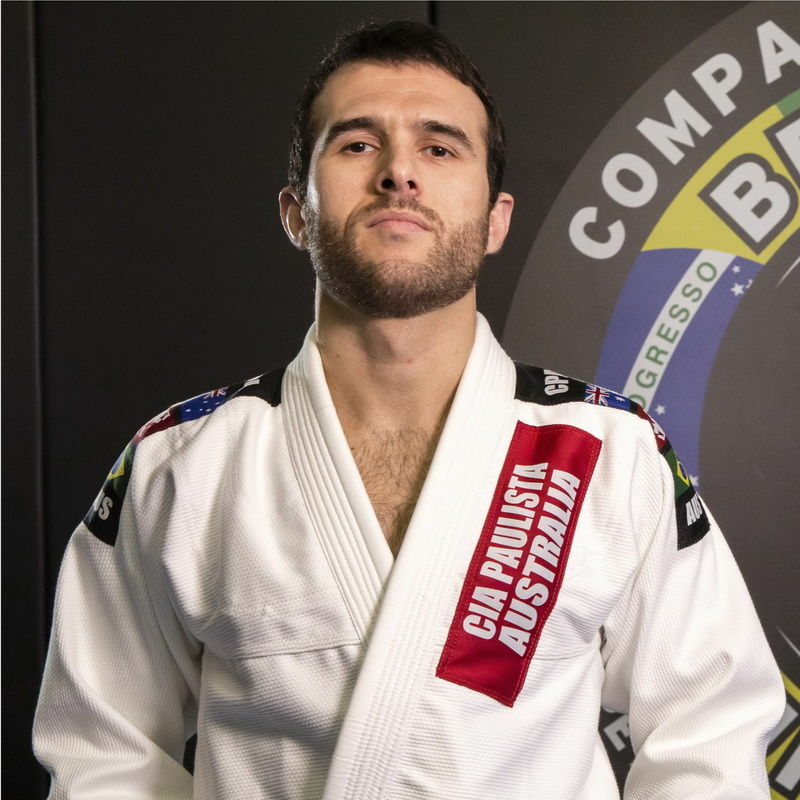 In 2009, they expanded the Cia Paulista name to Italy where Marcel continued to compete as often as possible, winning many titles such as IBJJF 3 x European Champion (2013 Gi / 2014-15 NoGi) and 2nd in the IBJJF World Master 2013. Marcel represented Italy as part of their national team from 2010-2015, winning the 2015 UWW grappling world champion, European champion in 2013, and 10 x Italian National Grappling Champion under UWW / FILA rules. In 2014 and 2015 he was also awarded by FIGMMA the The Athlete of the Year (NoGi and Gi respectively). Marcel contributed greatly to the growth of BJJ in Italy and Europe in both coaching and refereeing. Marcel has worked and shared his talent in various countries such as Brazil, Italy, USA, Portugal, Poland, UAE just to name a few, and now in Australia. In 2016, supported by Coach Carlos Vieira "Portugues", he moved to Australia to study English, and Fitness and Sport to better improve his coaching, as his dream is to dedicate himself full-time to Brazilian Jiu Jitsu and sport-related activities. While here, he has continued spreading his knowledge of Brazilian Jiu Jitsu, and taken an active role in contributing and helping to grow the Brazilian Jiu Jitsu community in Australia. He is now the head coach of Cia Paulista Brunswick, teaches in a number of gyms around Melbourne and continues to referee.